Last summer (2018), I had an itch to scratch. I wanted to go stupid fast. So after an exhaustive search, I came to the conclusion I had to decide on one of 4 options. 1. 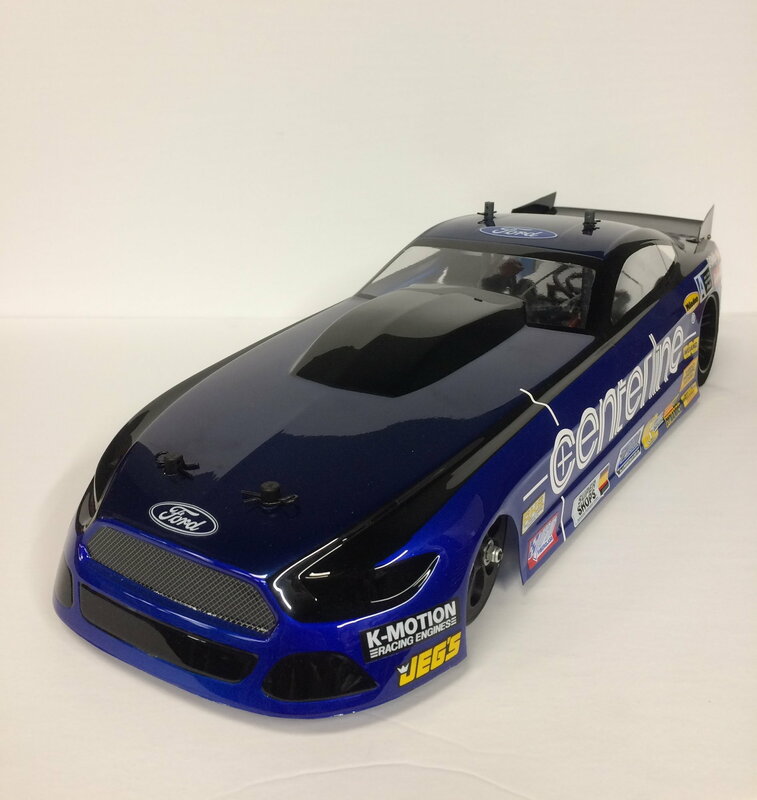 Spend $$$ on a Scale looking "Toy" that looks very convincing but is so-so in the speed and modification dept. Obviously I went with #4, and I wanted to share the results! 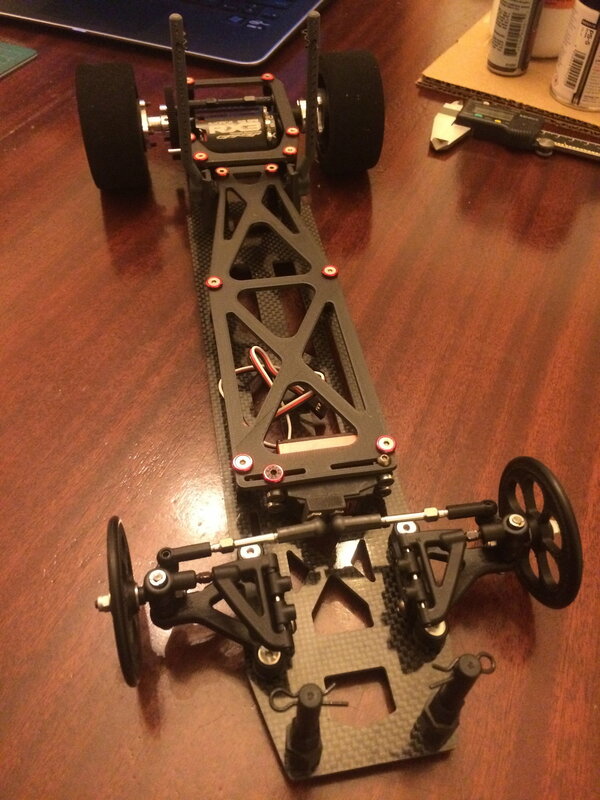 I started with the rear pod and axle from an X12, as well as the complete front suspension components. 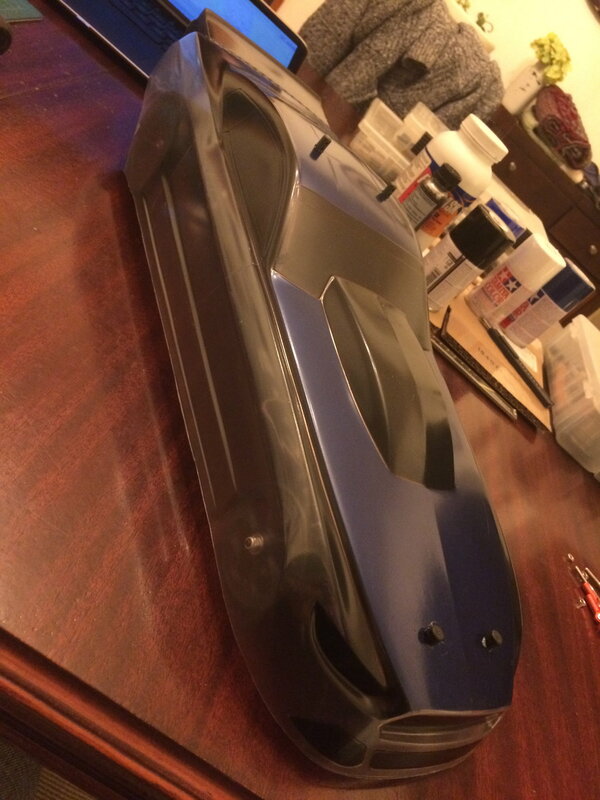 Purchased a lovely fiberglass plate chassis and GORGEOUS ProMod Mustang from Rudis Motorsport. Lastly I found some nice cheap aluminum bits on Amazon - as well as some RJSpeed clamp mount hubs from AmainHobbies. After some exhaustive cad work and 3D printed bits and pieces......Here it is ready to rip!! fathead, st_dragn_wagen, freaksofnature and 3 others like this. JoeyE, st_dragn_wagen, DaSilva3525 and 1 others like this. st_dragn_wagen, Sir 51D3WAYS and Dave_S like this. Great job! Looks killer and looks like a brand name kit. The front end should be plenty strong too for pass after pass. simple and Dave_S like this. Looks really good man. Excited to see how fast she goes! what's the wheelbase on that thing? Last edited by Tamiyadan; 04-17-2019 at 08:42 AM. question how much actual steering do you have? I'm building a home brew Top Fuel dragster and I've started kitchen floor testing and want a comparison. i have not gone outside yet to mess around because the ground is covered in snow. my wheelbase is 600mm for comparison. 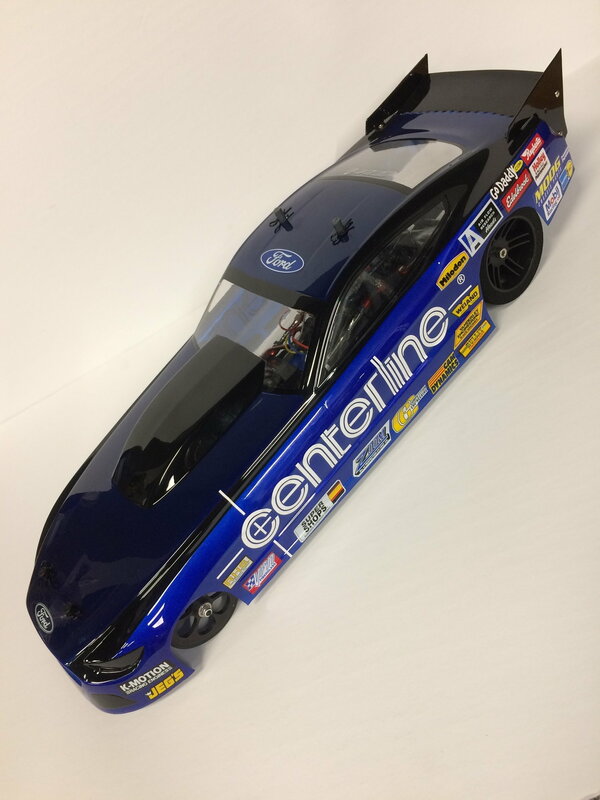 hmmm... what's the longest wheelbase you think that body could fit over? Depends on how good you want it to look. I don't think anything more than 300mm is going to look right. You might be able to squeeze in another 30mm.